UK food supplier, Winterbotham Darby, has been able to identify and stay ahead of various food shopping trends – such as increased sales of olives during warm weather, or rising demand for low-salt ranges and discounted lines over recent years – and managed to optimise levels of finished goods stock after implementing Demand and Supply Planning software through specialist vendor FuturMaster. 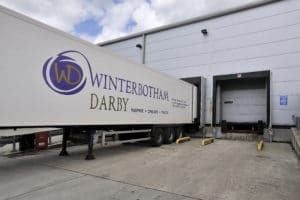 Winterbotham Darby is a fast-growing food business that predominantly supplies own-label chilled food produced in Europe to the major supermarket chains in the UK. Products packaged and delivered daily range from continental meats, chilled olives, antipasti and tapas to fresh pasta and seasonal snacks. The company has also expanded into supplying ambient bakery products and frozen desserts as well. Having created the pre-packed chilled olives and antipasti category in the UK, Winterbotham Darby continues to lead the market. 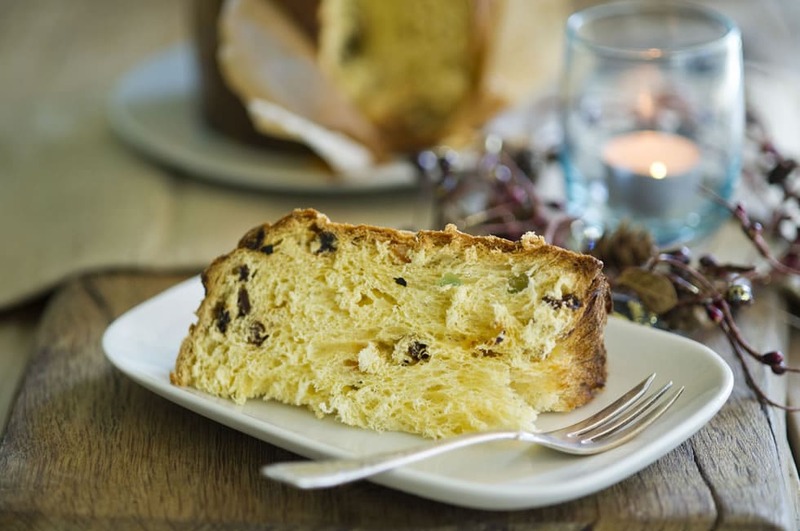 Olives mixed with cheeses such as feta and manchego have become firm favourites with its customers, along with a wide range of specific olive varietals from regions around Europe. Winterbotham Darby continues to innovate with new ingredients, dressings and pack formats. 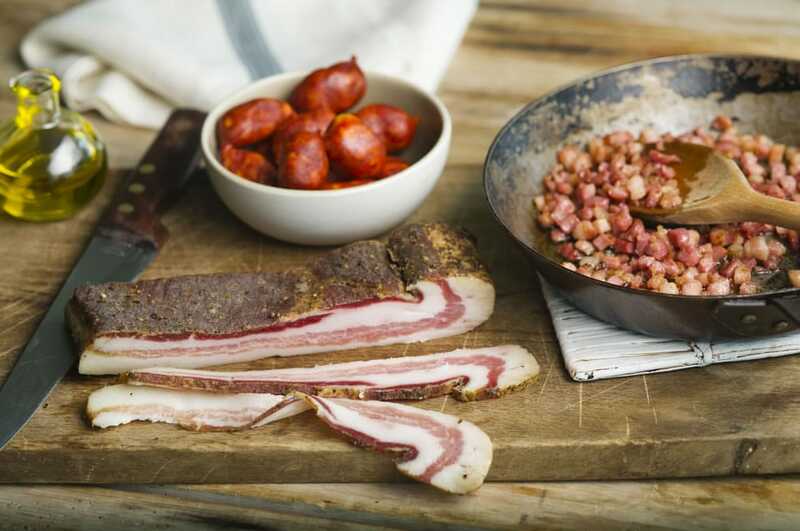 From Parma Ham to Chorizo, Brunswick™ Ham, Jamon Iberico to German Salami, Winterbotham Darby supplies a huge range of continental cured and cooked meats. Its charcuterie range includes crumbed, sliced, diced and whole products with unrivalled traceability and animal welfare schemes in place. Pre-packed meat accounts for the majority of sales but whole legs, hams and salamis for deli counters are also an important part of the business. 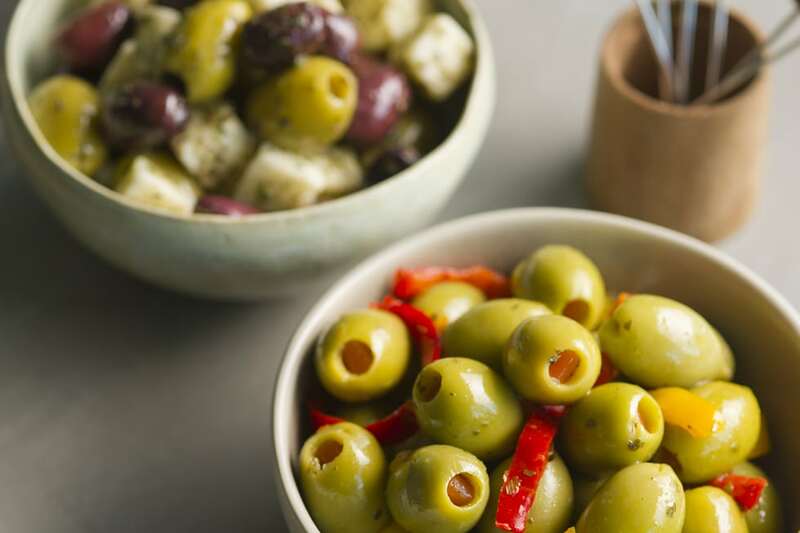 Following the successful launch and growth of the chilled olive and antipasti category in the UK, Winterbotham Darby invested in its own manufacturing site in the UK. With increased category growth and expanding production in the UK, FuturMaster’s MRP (Materials Resource Planning) module was implemented to manage the ordering of raw and packaging materials. Dancy explained that the olives used come from various different regions across the Mediterranean (Spain, Italy, Morocco, Greece etc.). The FuturMaster MRP module enables information on annual demand to be gathered easily for the Group Buyer to negotiate contracts for the procurement of annual olive crops and other ingredients. The system also allows a procurement team to place orders at a SKU (Stock Keeping Unit) level based on the lead-times required by the suppliers, ensuring that raw materials are available to support the production plan. The ongoing expansion of its UK manufacturing capability, including investment in new equipment and processes, generates an increasing level of complexity with raw materials and packaging formats. All of this is managed through FuturMaster MRP. In 2015, Winterbotham Darby acquired an additional manufacturing site in the UK. The processes that have been developed and implemented within FuturMaster provide a platform, which is expandable as the business grows. The software helps Winterbotham Darby generate a more accurate short, medium and long-term forecast for sales out to its customers. These forecasts are converted within FuturMaster to generate a supply forecast, which is sent out to its manufacturing partners across Europe. The improved accuracy of these forecasts enables Winterbotham Darby to maintain an optimised average stock level of seven days cover, with monthly stock turns of 4.2. With a majority of the company’s inbound freight being managed internally using third party logistics providers, Dancy explained how they have recently started utilising analyser tools within FuturMaster Supply Planning. This enables them to generate orders, across multiple suppliers, in a way that optimises the vehicle utilisation based on outputs from the analysers. Finished goods are distributed to retailers from a number of warehouses around the UK. Daily detailed stock files from each location are interfaced into FuturMaster Supply Planning to enable management of every product at a line level. Dancy explained how, by importing the stock on hand, by use-by date, they are able to continually manage and optimise the stock held. At any one time, a wide range of Winterbotham Darby’s products can be on promotion with their retail customers. It uses a separate Advance Promotions Management (APM) tool from FuturMaster to manage these promotions internally. The commercial team discuss promotional plans several months in advance. The APM module of FuturMaster gives information to Commercial, Finance and Planning departments on the impact of promotional activity. Once confirmed, the promotions feed forecast volume into the Demand Planning, Supply Planning and MRP modules of FuturMaster. In future, Dancy hopes to be able to use new developments in machine-learning capability from FuturMaster to predict promotion performance with greater accuracy. Even outside factors are taken into account to determine the forecasted uplift. The supply chain software helps a team of demand planners, supply planners and procurement co-ordinators manage a range of around 750 finished goods SKU’s, and 450 ingredient and packaging SKU’s on a daily basis. “We’ve built a system that links to our warehouse management and ERP systems, and communicates seamlessly with daily input and output interfaces,” said Dancy. Since deploying the new technology, forecast accuracy has increased and the company has been able to optimise stock levels. With olive sales going from strength to strength and its UK food business growing, the company has certainly wasted no time in setting down solid roots for a long and stable future.